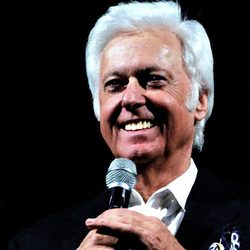 Singer Jack Jones had his greatest popularity during the 1960s. He acted in several minor films such as The Comeback (1978) and Juke Box Rhythm (1959). The son of actors Allan Jones and Irene Hervey has won two Grammys for Best Male Vocal Performance. His hit singles included such classics as 'Wives and Lovers', 'The Impossible Dream', 'Lollipops and Roses,' and 'The Love Boat Theme'.